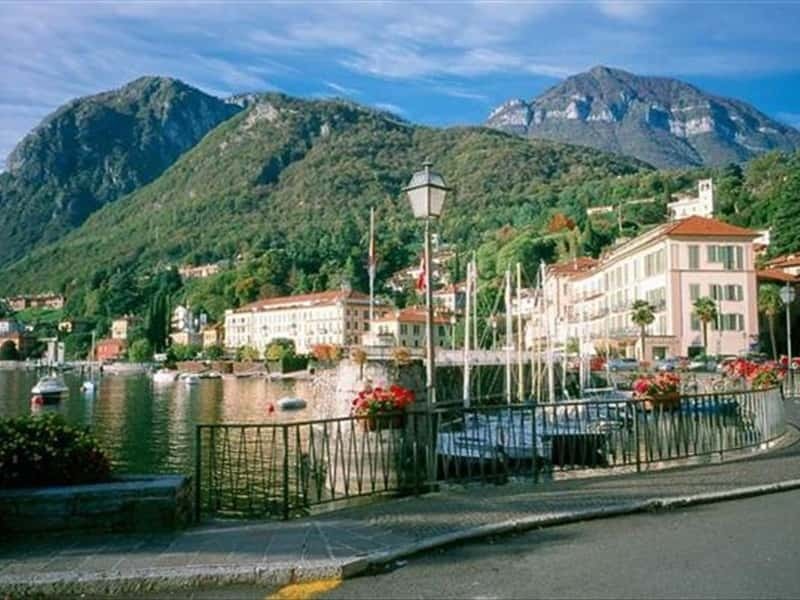 Located on the Western shore of Lake Como, just near the confluence with Lake Lugano, Menaggio is a charming village in the province of Como, composed of a main town center and three districts (Cross, Loveno and Nobiallo). The old town has the typical medieval aspect, with narrow streets and houses leaning against each other, while the area facing the lake is a typical XIX century architecture. The area was inhabited since prehistoric times and subsequently came under the jurisdiction of Rome, confirmed by the discovery of the tombstone of Minico Exorato a notable of the Empire of the first century A.D. the town was of strategic importance due to the construction in the Middle Ages of fortified walls. Menaggio was famous for being one of major commercial and trade posts of the area and from '800, it became also a famous tourist center. Among the most valuable monuments of both artistic and historical mention are: the castle walls, destroyed in 1523, the Church of Santa Marta, which features on the façade a Roman engraved stone of the first century A.D.; inside the building preserves fine paintings, including a Nativity and a Flagellation of the XVIII century, the Parish Church of St. Stephen, of ancient origin, but profoundly altered in later centuries: the interior was frescoed by Tagliaferri in 1899 and preserves important stucco elements of the XVIII century, important paintings, some of the Flemish school. The Church of San Carlo, which was built by Cinzio Calvi on the ruins of the ancient castle, to serve as a tomb for him and his wife Catherine Camozzi. Finally, the Parish Church of Saints Bartholomew and Nicola, in the village of Nobiallo, characterized by the presence of a Romanesque bell pendant of the XIII century. This town web page has been visited 22,404 times.